Deadspread was the showcase deck for the new Proliferate mechanic, and had a lot of promise. Get some conters on the board, proliferate like crazy and finish off your decimated opponent. At least, that was the plan! 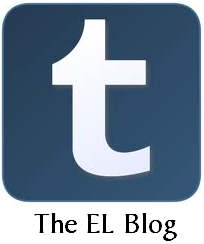 As you might expect, the execution was perhaps a little shy of the mark. For this Meddling, we’ll be making one version of the deck. 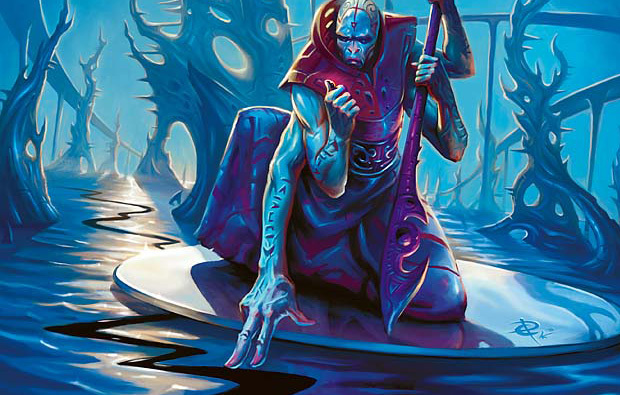 Frequently Meddlings in the past have made an improved version of the deck, then used its components to make a mono-coloured variant. This won’t work well for Deadspread– as the first set in a new block, it’s tools aren’t fully developed yet, and we need all the Proliferate we can get. A second deck could be made that would abuse all the charge-counter artifacts we have to play with, but for today’s purposes we want to arrive at a very tightly-focused proliferate deck that makes the mechanic work. One of Deadspread’s weaknesses is in the early game- the deck took so long to set up its own engine that it left you vulnerable and exposed. A suboptimal creature selection didn’t help matters any, either. Instead, we’re going to make sure every body on the bench earned its place on the team. Fume Spitter: These are a perfect delivery mechanism for getting that crucial first -1/-1 counter on an opponent’s creature. Not only are we keeping the two we have here, but we’re adding two more. By way of additional disincentive to your opponent to engage in early hostilities, we’ll also be adding a playset of Necropedes. This will give us a very solid early start at whittling down our opposition’s forces and setting up for truly hideous proliferates. Silver Myr/Leaden Myr: We’re keeping these in as well. A little extra ramp/fixing never hurts, and they can even chump incoming damage in a pinch. Maritime Guard: Gonzo. These are reasonable enough defensive bodies, far better than the equally-costed Coral Merfolk for the purpose, but just not worth a card slot here. We’re expecting to have to weather some early storms, but would rather respond with a withering defense that makes them pay for every inch than just a 1/3 damage soak. Thrummingbird: Absolutely critical to our war effort, that we add in two more to complete the playset should come as no surprise. Moriok Reaver: Off to the bread lines. A 3/2 body for three mana might be typical of Black’s poor creature efficiency, but it’s not going to be typical of this deck. He does little and adds even less. Darkslick Drake: If our primary objective is to clear the opponent’s board with proliferated -1/-1 counters, our secondary win condition will be in the skies. Deadspread out-of-the-box gives us two directions here: Darkslick Drake and Sky-Eel School. The School gives us card quality and an extra point of power, but dies to a Bolt. The Drake is a point weaker in the front-end, sure, but in return gives us card advantage, a beefy back-end that needs a Flame Slash or Turn to Slag to kill, and is a mana cheaper overall. The choice is clear- the Drake takes it, and we’ll bring in two more to keep him company. Skinrender: As much of a no-brainer as the Thrummingbird. We’ll add in another pair of them to bring our total up to a respectable three. Harbor Serpent: Out. It’s a nice body, but it’s just a fat defender for much of the game if your opponent isn’t playing Blue. We have better options. 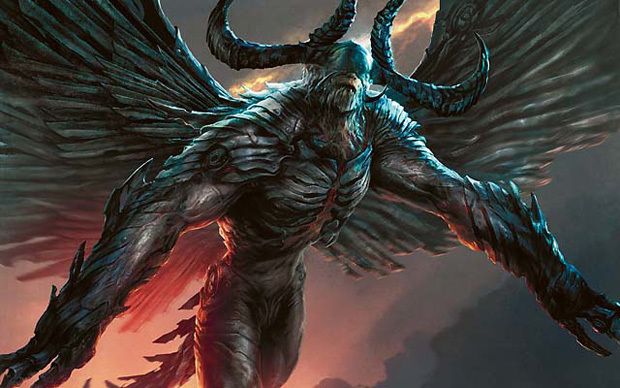 Carnifex Demon: We very seldom consider cutting the rares in a deck, and especially when they are such a good fit such as here. Carnie stays. Now, let’s move on to the noncreature component. 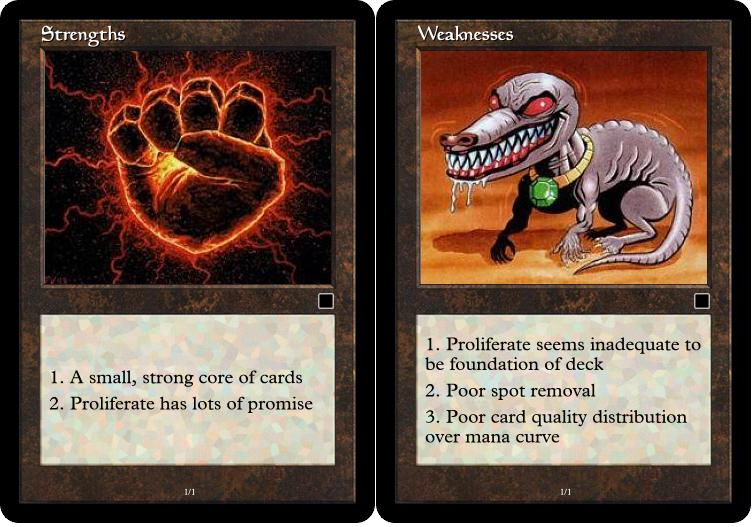 Twisted Image: Too cutesy for our tastes, it occasionally hits paydirt bt killing any 0-power creature, or setting up a kill on an asymmetrical beater, but it’s just not worth a card here, cantrip or no. Culling Dais: Although we don’t like the initial investment (sacrifice a creature), it’s hardly insurmountable and with all the proliferation going on, a miser’s copy here is not out of place. Doom Blade: Holy Maloney, they’re cutting the Blade! Sad to say, but the deck’s going to have to do without its services. Deadspread didn’t put much stock in the card to begin with, as it could be argued that there’s little difference between a one-of and a none-of (unless you have tutor effects, which we don’t). It’s hard to find room here, and if the deck works well it shouldn’t need it with all the other removal it packs. Contagion Clasp: Mission-critical, and we’re adding another. Multiple copies can be redundant against opponents not packing artifact hate, but it’s a cheap way to get a counter started all the same. Throne of Geth: After all the cuts we’re making in the artifact allotment of the deck, it only makes sense to pitch this one, too. A good outlet for dried-up Trigons or Necrogen Censers in the stock list, almost useless in ours. Necrogen Censer: Cut. Cute and clever direct damage source, there’s just no room for it in the more streamlined Meddling list. Steady Progress: Another of the deck’s no-brainers, we’re bumping this up to a full playset here. A ton of uses, and the cantip effect is a solid bonus. Instill Infection: The problem with the original Deadspread was the difficulty it had getting those initial counters on with reasonable ease. Instill Infection makes that simple, but it’s not an inexpensive option. Too often we were reliant on getting this spell out to start the initial crack in a creature’s armour so that we could proliferate it to death. In our Meddled version, it should be a stronger option- with the other ways to get that initial counter, we’re no longer as desperately dependant upon it, which means we can play it at more convenience times. We’re rounding out the playset here as well. Trigon of Corruption: Not an easy cut, and one we’re still second-guessing. That it costs six mana to get your first -1/-1 counter was probably the deciding factor, though it has such strong synergy with the deck overall. It might be worth cutting an Instill Infection to cheat this in, but for now we’ll be keeping it out. Sorcerer’s Strongbox: Is it bad that cutting this made us deleriously happy? Our most-hated card gets the pink slip. With eight cantrips in the deck (plus the Culling Dais), we’re in fine shape for card drawing. Trigon of Thought: We agonised over the Trigon of Corruption, but this one was far easier. Five mana is just too much, even if it does give us cheap cards. Contagion Engine: Expensive, but soooo wickedly worth it when it goes off, this one stays. And there you have it! The deck should have no difficulty getting out an early-game setup, with so many options in the one- and two-drop slots. Fume Spitters and Necropedes will be your -1/-1 counter vectors, either eliminating early nuisances on their own or weaking them enough to wipe them up with a well-timed Steady Progress. What’s more, these early critters are useful at most any stage in the game, as they begin the decaying process for one of your foe’s fresh critters as well. You’ve got pleny of ways to proliferate, and with the cantrips in the deck you should be seeing quite a number of cards to get you what you need. Finally, you have conventional beaters to roll up your opponent and pass through their ragtag lines. The Skinrender and Darkslick Drake will take a few turns to kill your opponent, but many times they’ll have already had a few pecks from a Thrummingbird to get them started. As always, we’d love to hear from you about your expeirnces with this Meddling or one of your own. And of course, the contest for Ertai’s Meddling is still open. We hope you’ve enjoyed this as much as we have, and we’re already looking forward to getting our hands on Metalcraft to finish out Scars of Mirrodin! The Necropedes are nice but seems like they’d only be of use as a defender and for that you could instead grab a wall or something similar, the ability to 2 for 1 your opponent might make it worth it though. I can’t really agree with your choice of Distill Infect costing 4 mana for a whopping 1 -1/-1. If there’s something you need to kill that badly, I would’ve kept the Doom Blade in. I don’t like Instill Infect either. I see why you’re using it, but I think it’s far too slow. You’ve got quite a few cards to put counters out there. I just don’t see really much else that fits. Maybe another clasp. Maybe a stoic rebuttal. Don’t think doom blade would be the answer though. Actually, Doom Blade opens a few doors for alternatives from M2011. Sign in blood? Foresee/Jace’s Ingenuity? I’m partial to SiB for the lower mana cost. Preordain is an option too, but I’d rather pay 1 more mana and 2 life for a second card in this deck. I don’t get it. What is being proliferated here? 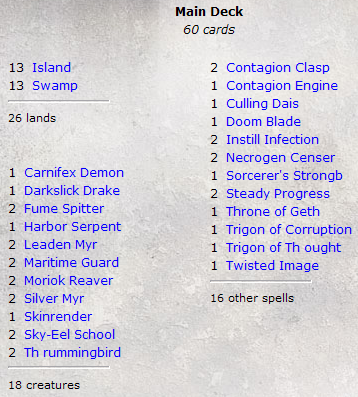 There’s nothing that cares about counters except for the singleton Carnifex Demon and Culling Dais. No Tumble Magnets? No Ichor Rats? -1/-1 counters, of course. Creatures are a large part of the game these days. This deck hates on creatures to a very extreme degree and can wipe the board multiple times with little effort. I play a mono black version that is extremely strong vs. any creature based strategy. My only problem with this meddling is the lack of powerful instant removal. It’s one thing to chew up creatures with proliferate, but sometimes a hasty bomb can hit the table or a large creature that you didn’t have the juice to whittle down before it gets to swing. I love Instill Infection and the way it supports this deck and its cantrip but I use a play set of Grasp of Darkness in my version. Yep, I play with a set of Grasp of Darkness in my infect deck as well. -4/-4 is nothing to be scoffed The situation for this deck maybe different though since I play monoB and this splashes blue for a more late game feel. That’s why I was thinking perhaps some Walls of some sort might be nice. Also meddling could get a whole set of nice new toys in MBS. Gah, beat me to it! Was going to ask what everyone thought of that card as a possible slot replacement. Still expensive, but oh so sweet! Still too slow for me. In my artifact deck I have a lost of counters. I could justify this card in it, but in this deck, it just seems like a waste to me. Going to spend a lot of mana to put a second or third counter on things. Except for Carnie and Engine, all the -1/-1 generators hit a single card. This prolif way to get rid of creatures seems way to expensive. I’m curious to see how this deck preforms. In my artifact deck, my prolif cards boost my stuff and hinders my opponents. I hope not to violate Ertai’s Rules of Meddling by contraticting the decklist proposed in general and some of the card choices in particular. 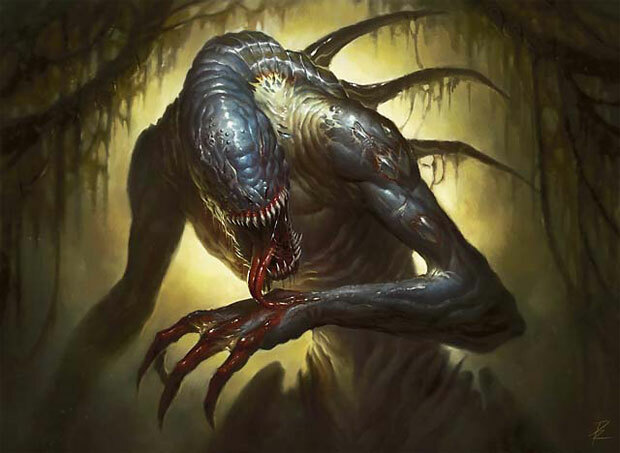 In fact I intend to pair the proliferate mechanic with the one other Scars of Mirrodin mechanic that in my opinion is really made to move along with: infect. The goal is to hand over at least one poison counter to the opponent and the sit back and proliferate him up to ten. The style of playing this tactic requires is a less aggro- and more control-oriented one. * Necropede: either weakens the resistance or delivers a poison counter. Disperse would be – though underrated – a good addition to either clear the path or repeat the Clasp’s or Skinrender’s etb ability. However, which card slot would you clear as it does nothing it terms of cantrip or counter distribution? Really need stuff to repeat those cheap -1/-1 effect. Otherwise, at times you could be paying a ton to just copy a single token while your opponent is shrugging that off. Counter not token. Wow. That was a mix up. Voltaic Key: Wouldn’t it be nice to use the same Censer twice on the same turn? Golem Foundry: a little something to put in the opponent’s way. If we can put a charge counter on the censer, why not drop another one here. Tumble Magnet: Another little something to prevent the opponent from attacking. Plus it takes charge counters. Feel invited to post any ideas to this deck. I love this deck idea, and it will only get better when Besieged comes out. I like the Censer a lot in draft and sealed play since crossing the red zone late game is problematic. Wall of Frost is fantastic and highly underrated, but possibly not fast enough in a two color deck. Have you considered Wall of Tanglecord? I know that you don’t have green to activate it, but an 0/6 wall for 2 colorless is pretty sweet for a stall strategy. I also wouldn’t count Golem Foundry among creatures. Even with masses of proliferate it’s a very slow card. Consider removing them, upping your Skinrender count to 4 or simply adding two Wall of Tanglecord in addition to having the four Wall of Frost. Also, never underestimate the amount of havoc Necropedes can cause. The fact that they can add counters to two different creatures when the go to the graveyard makes attacking through them tough. And when your opponent sees how much proliferate you’re packing he or she will do a lot of second guessing. You might also drop one Key and add a Lux Cannon for some laughs. Come on, no Tumble Magnets? Crucial in the early game. And something that would really go in with the proliferate mechanic are the quests. Quest for the Gravelord is really strong with the mechanic. Another idea are the Ascensions. Bloodchief Ascension costs 1 and kills everything after you’ve made the 3 counters. Oh, and my win condition is clearly not the Darkslick Drakes, but poison counters. You only have to drop a Ichor Rats to get things started, you never even have to hit. I would drop the Instill Infections and add a playset of Throne of Geth. It combos well with the Necropedes, since the Necropede will hit the graveyard before the Throne proliferates. Also, if you don’t have another artifact to sac, you can tap and sac the Throne to itself. Proliferating for 2 colorless mana isn’t too bad, especially if you need to clear the way for lethal damage.